This is absolutely amazing. 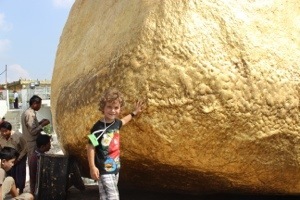 Its a massive boulder with a pagoda on the top of it and covered in gold leaf. 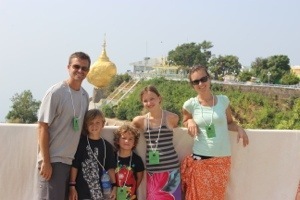 Its a Buddhist shrine that is high up a mountain and it looks like it will fall at any moment. There is a legend that says that Buddha gave a strand of his hair to a hermit to hold on to. The hermit was then instructed by a King to find a rock shaped like the hermit’s head and take the boulder to the mountain top. 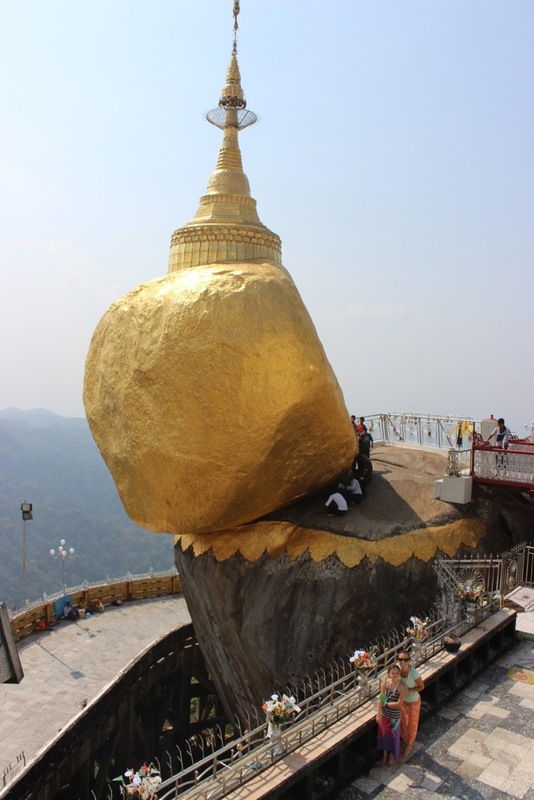 The hermit then found this position to put the boulder and then built the pagoda to house the hair. It is this hair that keeps the rock from falling. Kim was pissed! When she is told she can’t do something-guess what?-that’s exactly what she has to do. Very reluctantly she heeded the sign but we took a picture of her and Emerson in another restricted area for women and we acted like we didn’t understand. We play the ignorant American tourist role oh too well. That is the first photo on this post. An exhausting day, but incredible. Another important detail was that Maddux had food sickness and was puking the whole day, but he is a trooper. 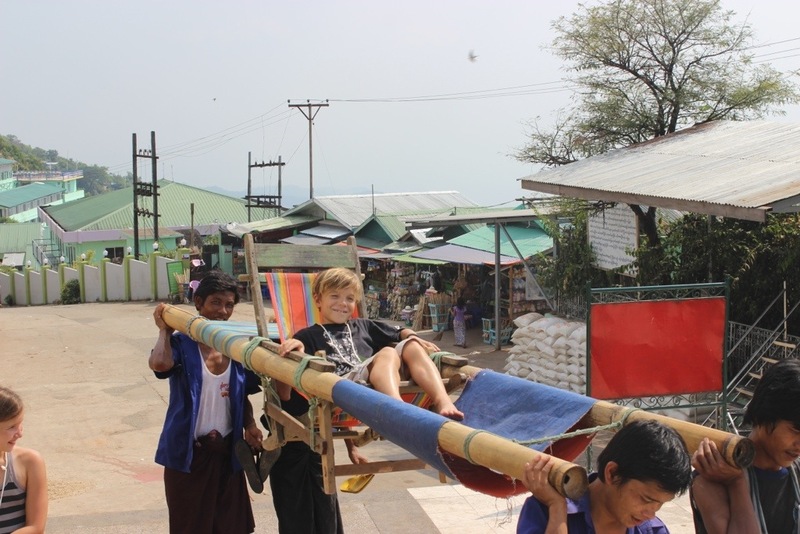 Thus, he was rewarded with a chariot ride for the hiking part. Jackie, the whole women not being able to do this or that is disturbing but you’re right- we do take that stuff for granted. In some countries- women are property. Aye-yi-yi! Maddux loved his ride. He earned it! Heading to Vietnam tomorrow morning! Going to start in Hanoi. Love! Love! Love! Alicia! Thanks for your sweet comments, lady! We are doing great. Trip has come to an end as we are now in north america. It is bittersweet. So happy we are re-connected! Love!